Home /China, Military/Dangerous Waters: China, the USA, and the Western Pacific. The current situation in East Asia cannot last. China is a rising power, and the USA is in decline. This decline is likely to be exacerbated by president-elect Donald Trump, who is uninformed and seemingly uninterested in global politics. Trump is, for instance, declining the usual intelligence briefings made available to presidents-elect. About China, Trump has spoken with particular bellicosity, promising trade tariffs in retaliation for what he wrongly perceives to be currency manipulation, and he has spoken recklessly about the use of nuclear weapons. It is likely that a bungling or careless Trump may hasten the inevitable adjustments that must occur in East Asia, and it’s perhaps wise to look at historical precedent to see what might occur. For much of its history, China has been a continental-focused power. Its governments, usually based in inland northern China, have been far more concerned about threats coming either from its land borders – particularly in the north – or from within, in the form of the massive rebellions and revolts that have played such an important role in Chinese history. But there have been times when China’s governments have been focused on controlling maritime space, and those periods may be illuminating for understanding the emerging situation today. In the past, when Chinese governments have become interested in maritime power projection, they have been extraordinarily successful. But they have also tended to keep most of their attention, even so, on China itself, so any maritime projection that China may make in the future is likely to follow a similar pattern: bold expeditions followed by contraction, once the geopolitical point has been made. The most famous episode of Chinese maritime power projection was of course the great Zheng He voyages of the early 1400s, huge expeditions that sailed as far as the Eastern coast of Africa. Although Zheng He is often described as the Chinese Columbus, his voyages were not intended to explore or to trade so much as to awe. China had recently been reunified under Chinese rule, after a period of warfare, which itself had been preceded by a period of rule by the Mongols. China’s emperor at the time was an ambitious usurper who sought to proclaim his own legitimacy by bringing a stream of foreign kings and ambassadors to the Chinese capital to bow before the dragon throne, proving that he was indeed the central ruler of “all under heaven,” and that China was in fact the middle country. After his death, these “tribute missions” became less important. The voyages were suspended. Yet Chinese continued to ply the seas, and Chinese governments did not “turn inward” nearly so much as historians still often insist. Throughout the 1400s and 1500s, Chinese traders sailed the seas, and even after the arrival of the Portuguese and the Spanish, who were followed later by the English and the Dutch, they continued carrying more in volume and value than their Western competitors. Yet these Chinese sea traders generally had to do without the support of their home government. Whereas European maritime adventurers sailed with the support of their governments, who sometimes provided direct financial and material support and sometimes – more often – provided institutional and legal support, the Chinese were “merchants without empire.” As a result, Europeans could gain toeholds in the China Seas. They could never, however, out compete the Chinese, and whenever Chinese governments became interested in projecting power over maritime space, the Westerners lost. This was true of the Portuguese in the early 1500s, who lost two major battles to Chinese forces and were forced to play by Chinese rules. It was even more true of the powerful Dutch, who lost a series of battles to the Chinese, including, finally, their lucrative colony of Taiwan, which fell to a Chinese invasion force in the mid-1600s. In fact, the past 150 years are an aberration in Chinese history. When the British fought the Chinese to a standstill in the First Opium War (1839-42), they had an unprecedented advantage. Not only was Britain an industrial power, but China also had become dangerously out of practice in the art of war: the near-century between 1760 and 1839 was quite possibly the least warlike period in China’s millennia-long history. (There were of course many wars and rebellions, so we are speaking relatively – in comparison to other periods of China’s long and bloody history.) As a result, its once dynamic military institutions and technologies had atrophied by 1839, when the Opium War started. Many British advantages in the war were due less to industrial technologies than to new gun designs and ballistics techniques forged in European warfare, particularly in the convulsive Revolutionary and Napoleonic Wars. The British victory in 1842 was followed by huge rebellions within China, which were followed in turn by another Opium War, a Sino-French War, a Sino-Japanese War, the Boxer Rebellion, and the collapse of the Qing Dynasty, which led to a period of warfare and instability that lasted until the Communists unified China in 1949. Even after that date, however, China’s instability continued. With the USA and most other Western powers recognizing Taipei as the legitimate seat of China’s government, the PRC reeled from crisis to crisis, finding stability and growth only after the death of Mao Zedong in 1976. 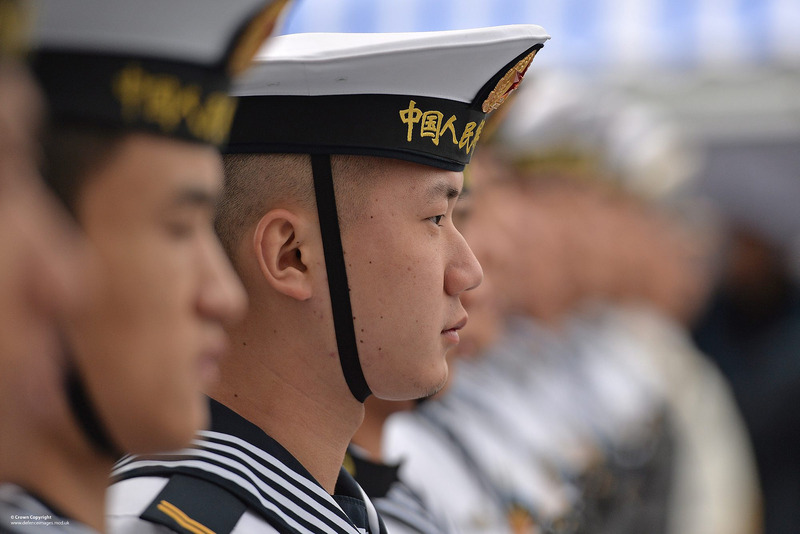 During this period, Beijing wisely acquiesced do the USA’s dominance of the Pacific, even as its leaders fretted and grumbled about America’s bases and military patrols. Today, however, we are seeing the first cracks in the current status quo, which presage a return to the long term pattern of China’s history. China is, to be sure, a country focused on its land territory, on its huge continental holdings. Yet it is also focused on security, and today its greatest threats – at least its greatest perceived threats – lie on the seas. This explains its consistent naval buildup and its increasing willingness to engage in actions considered by the US as provocative, most notably the building of artificial islands with airbases. China’s leaders know that ultimately things will change, and they are preparing to replace the USA as the major power of the Western Pacific. The Obama government piloted a deft and wise course through these difficult seas, responding to provocations adroitly, avoiding outright confrontation while maintaining America’s claims to freedom of commerce. His “pivot to Asia” may have raised hackles in Beijing, but it was generally carried out carefully. The Trump government cannot be counted on to act so prudently. Will Trump in fact call on Japan and South Korea to undertake military buildups and/or to help pay for American expenditures on their security? Doing so would cause significant disruption to a delicate situation. Will he ratchet up his anti-Chinese rhetoric? He is a notoriously thin-skinned man, and we can expect him to respond to perceived provocations less wisely than Obama. The long term future is clear: China will take increasing control over the seas of the Western Pacific. How precisely that adjustment will occur – with wisdom or violence – is impossible to know. Unfortunately, the chances of dangerous missteps – at least on the US side – seem higher today than ever before. Tonio Andrade is the author of The Gunpowder Age, among other books. He is Professor of Chinese and Global History at Emory University. Image credit: CC by Defence Images/Flickr.